Many years ago I was advised by a supervisor at work that grey and navy were more appropriate for work than fuchsia or turquoise blue. That was before the fashion gurus gave their blessings to bright colours and proclaimed that bold hues may actually enhance productivity. Now that permission had been granted, the same supervisor arrived in a flaming orange outfit and sheepishly announced that she was waking up a sleepy department. Colour is not just a pigment of our imagination, it is a centrifugal force which transforms the environment we inherit, create and experience, something nature knows intuitively. 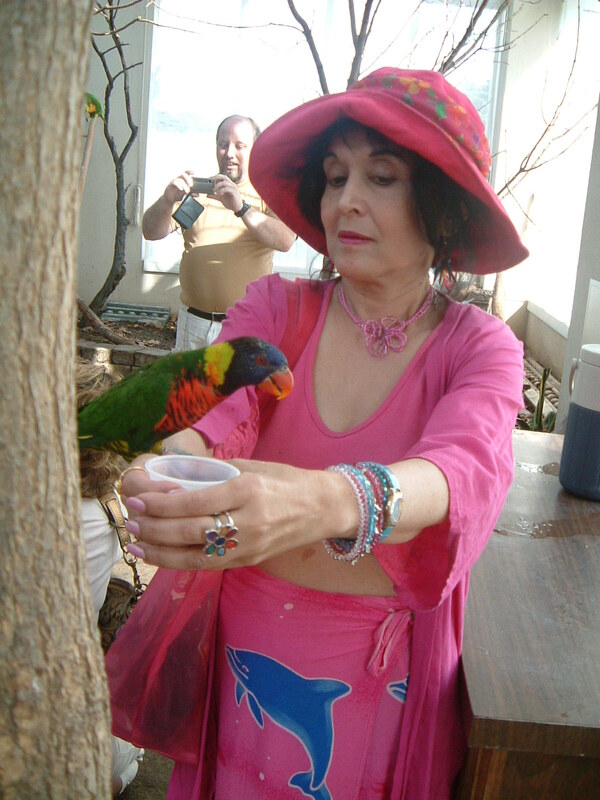 An arrogant parrot at an aviary, unabashedly proud of its plumes, flew on to my arm to illustrate I was no match for its flair. It made me wonder: if nature is not afraid of colour, why are we? Grey skies, grey buildings, grey sidewalks and grey suits equal a grey shroud over a choked psyche. Matisse has been credited with introducing bright colours to modern art. There has been no dearth of vibrant colours in centuries old creations of the East, be it in folk art, the caves of Ajanta in India from 2 B.C., or the religious symbols in temples. Looking through the pages of art history, we can codify the social and philosophical mores of the times, the freedom, the repression, harmony or chaos, mysticism or reality, juxtaposed in wheels of colour. It may just be that the plants and flowers of certain climes, the sources we derive colour from, coaxed the physical, psychological and cultural acceptance of scintillating hues in everyday lives, including the creation of art and attire. us. I’ll share a poem with you from my book, Sandalwood Thoughts, entitled, Palette. I think in black and white.